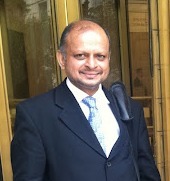 After completing the first term in office, the Transnational Government of Tamil Eelam’s (TGTE) Prime Minister Visuvanathan Rudrakumaran, dissolved the Parliament on October 1, 2013. The TGTE says; “Nominations were accepted by respective Country Election Commissions to elect 112 Members of Parliament (MPs). Countries where the nominations were filed are: Canada, United Kingdom, United States of America, Australia, Germany, Switzerland, Ireland, France, Denmark, Norway and New Zealand. Even though arrangements were made to conduct elections in all these countries, timely withdrawal of groups who were unwilling to go along with TGTE agenda in the past, have resulted in all the candidates elected unopposed. “This heralds a remarkable welcome development in the Tamil Diaspora. Signifying unity not seen before and effectively strengthening the Diaspora’s role for the freedom of Tamils in the island of Sri Lanka. Ordinary People Blindly Follow Present Day Leaders: What A Tragedy For This Dhammadipa?